Are you interested in helping people maintain optimal health or athletic performance, or a career as an athletic trainer? Then exercise science is the field for you. Why study exercise science at AU? 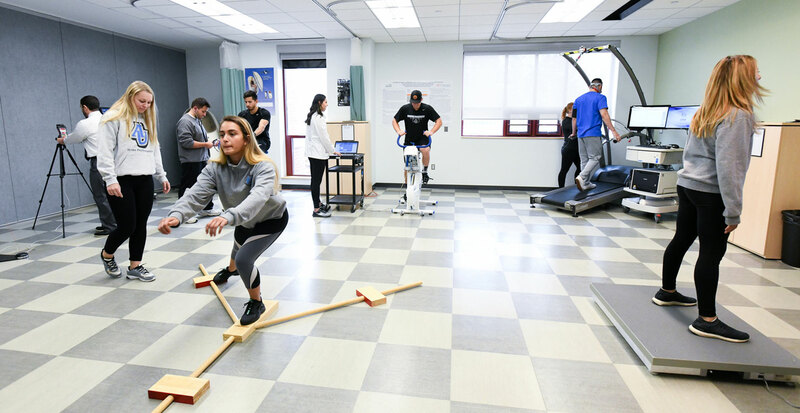 The exercise science program at Aurora University is unique in that it blends a state-of-the-art exercise science lab with the university’s strength and conditioning department. And you will apply what you learn in the lab and in the classroom right away by helping AU’s student-athletes attain maximum performance. Additionally, you can pursue a master’s degree in athletic training through our “3+2” program. In five years, you will earn both a bachelor's degree in exercise science and a master's degree in athletic training. The exercise science program is recognized by the National Strength and Conditioning Association (NSCA). Expand your career opportunities by double-majoring in business or parks and recreation leadership. And even with a second major, you'll still be able to graduate in four years. Exercise science requires you to develop both technical skills and people skills. Your education will focus on real-world, hands-on learning with diverse populations. 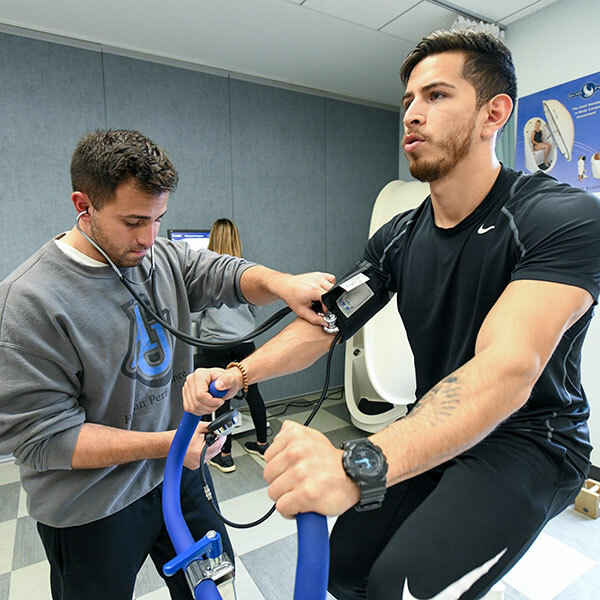 An exercise science degree will equip you with the skills employers value most: communicating your ideas, analyzing a problem, and working with others to find a solution. In a job market that’s evolving faster than ever, you'll have the knowledge and tools to succeed.